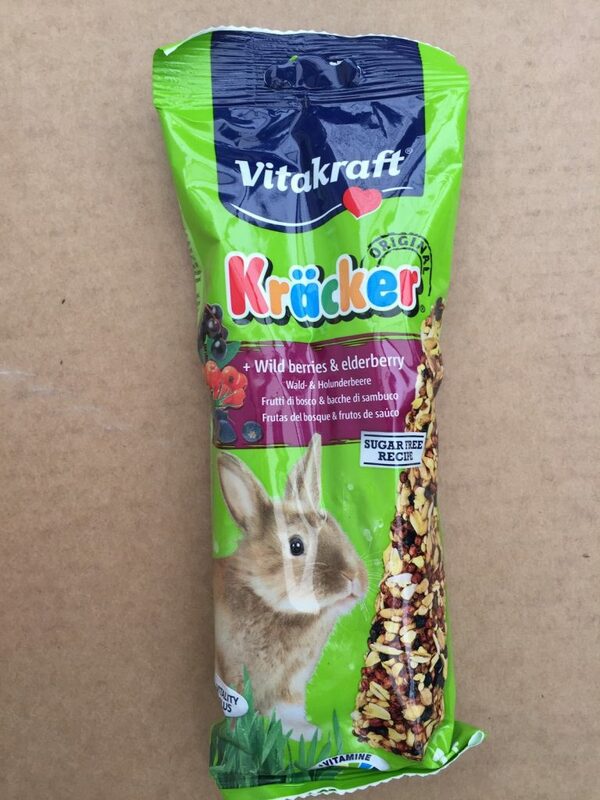 All rabbits require a high fibre diet and Angoras are no exception. It is important to have a regular pattern of feeding. 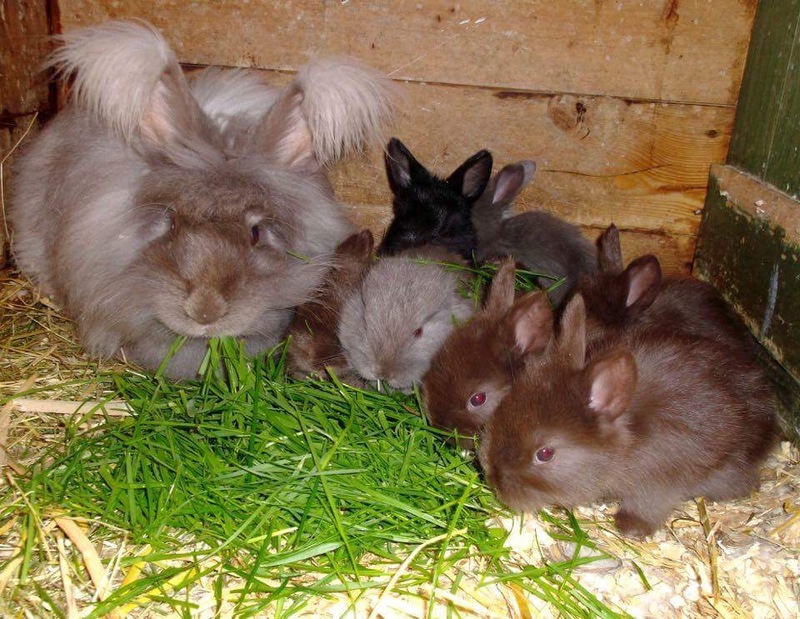 Owners can feed twice daily or once daily but the rabbits appreciate the same routine. 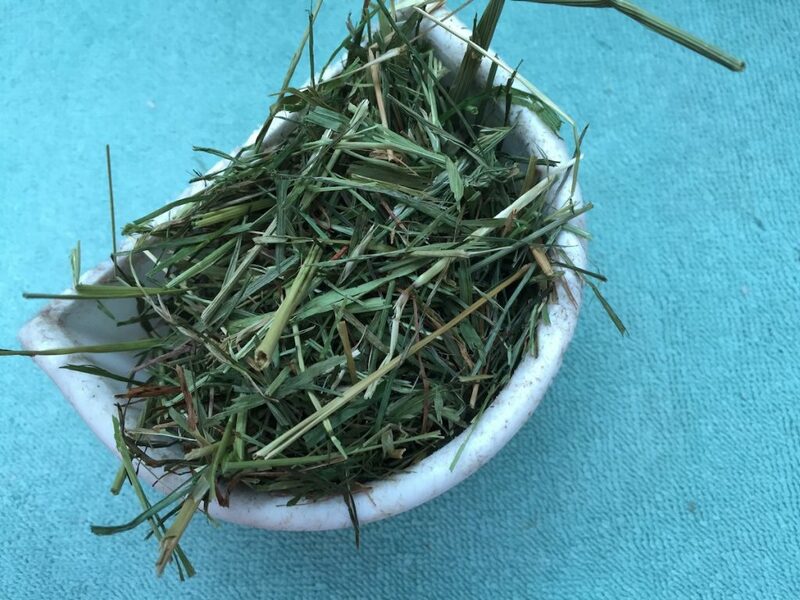 A sample routine is hay, water check and a small amount of greens before work on a morning, then hay, dried food, greens and fresh water on an evening. Fresh, clean water should be available at all times. 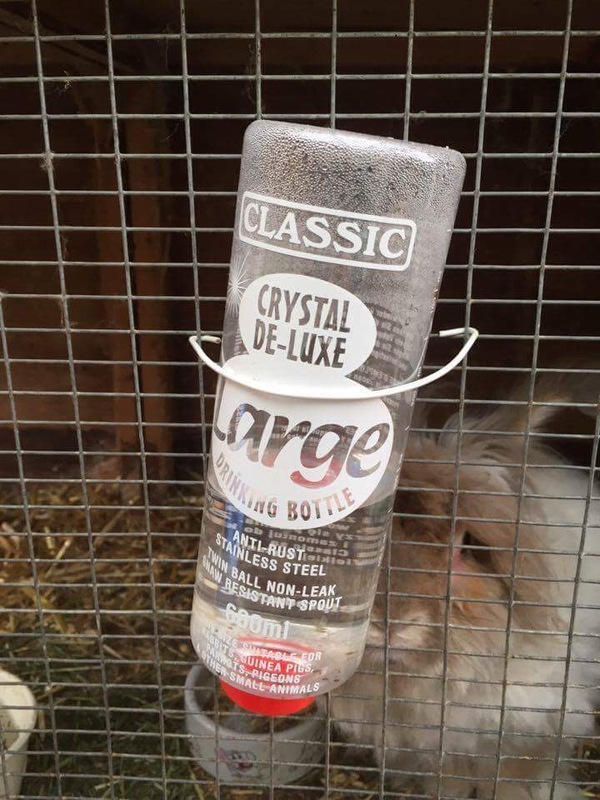 Water bottles or water bowls can be used. 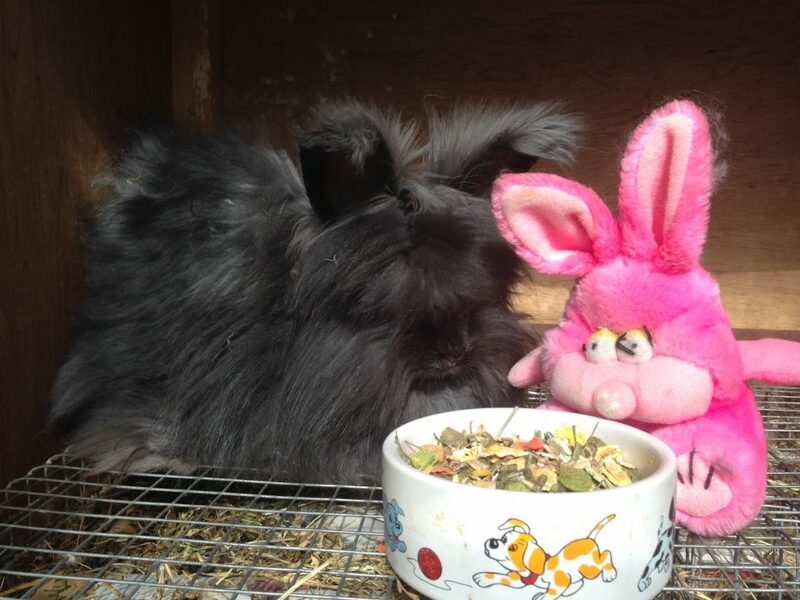 Some rabbits will tip up or foul water bowls, but others will cope well with them. Hay should be available at all times. Overhead hay racks may cause problems with the exhibition coat. 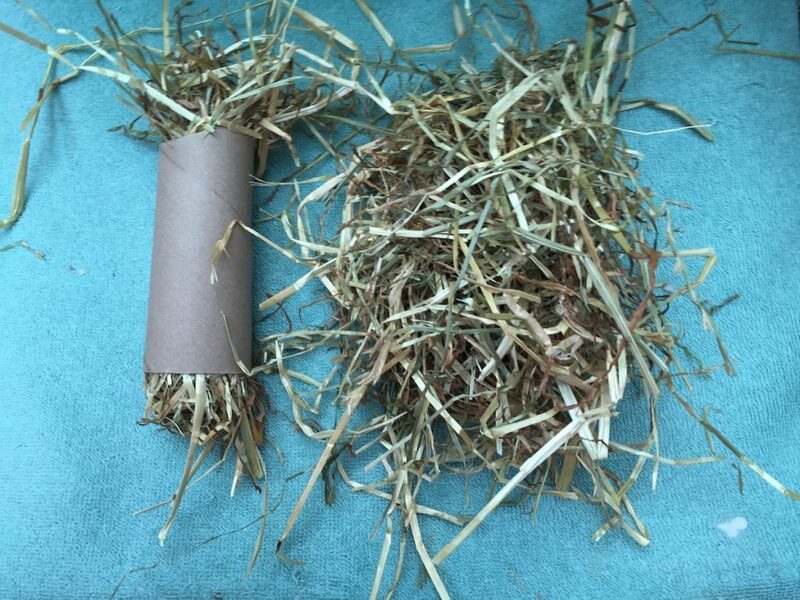 Hay tucked into hay balls clipped to the cage wire or stuffed inside cardboard kitchen rolls is an alternative. 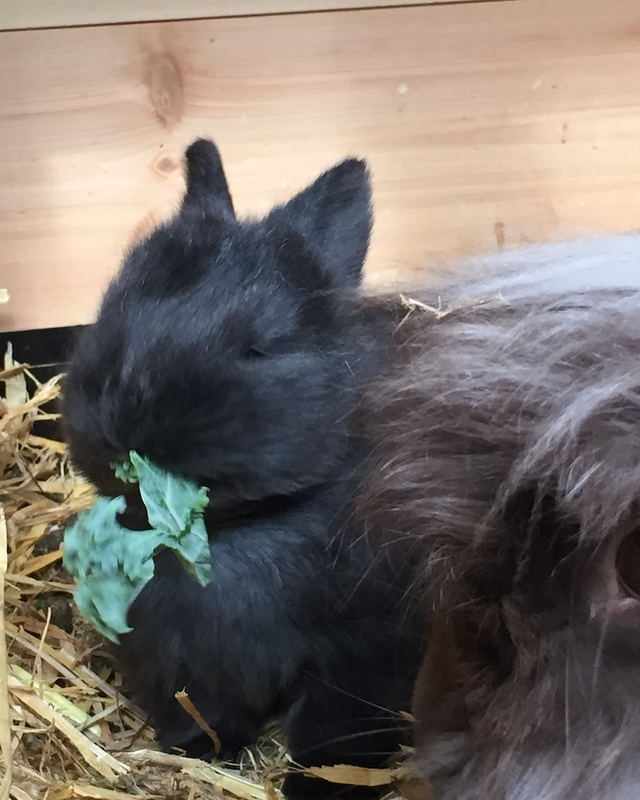 The rabbit will also enjoy nibbling its barley straw bedding. 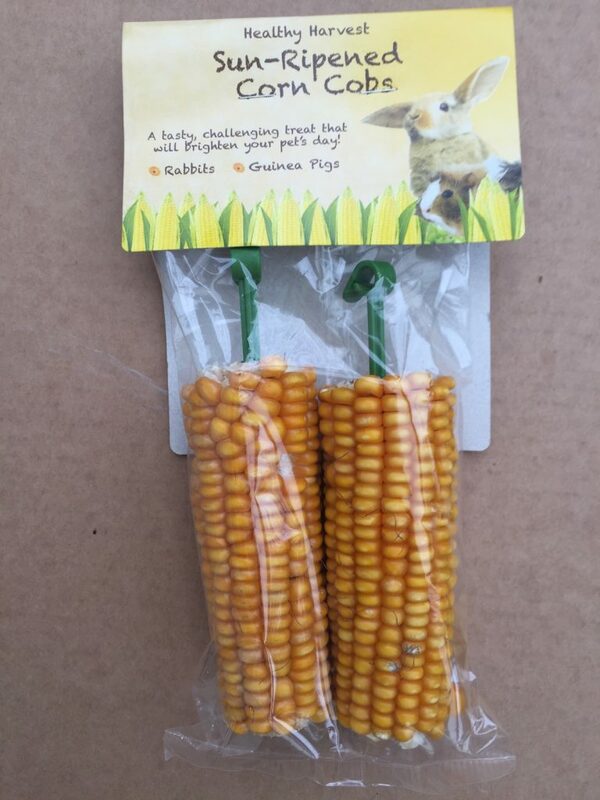 There are a large number of commercial dry rabbit foods available. Follow the instructions on the packet regarding quantity. 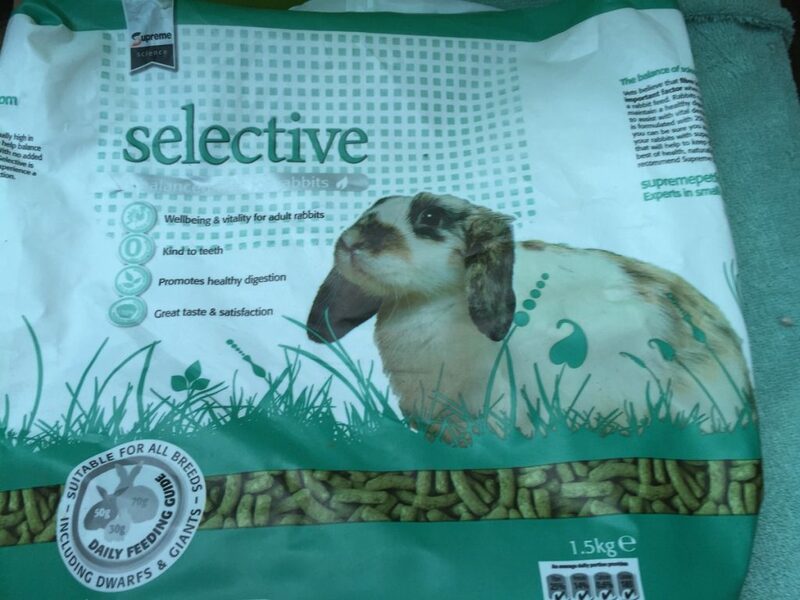 Pellets avoid selective feeding. 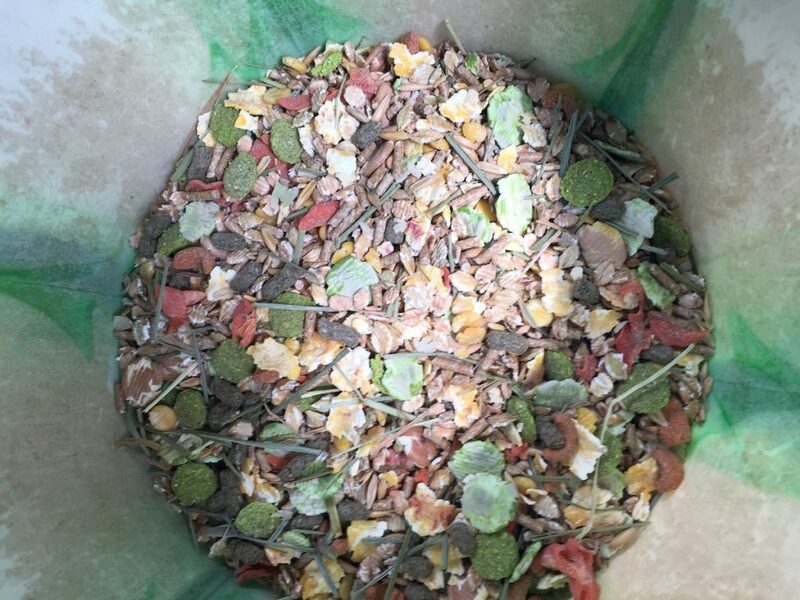 Muesli mixes provide variety, but a rabbit may simply pick out its favourite bits and leave important nutrients behind. 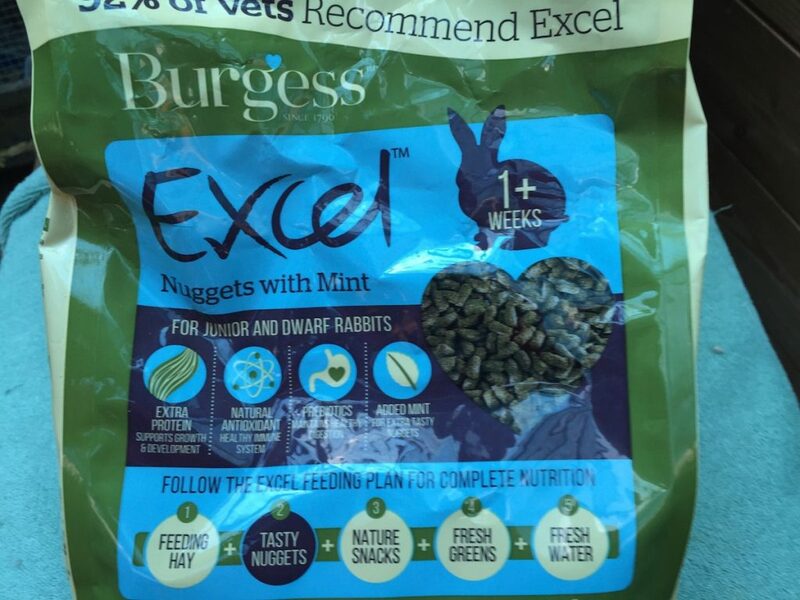 If a mix is used, calculate the amount used so that the rabbit clears its bowl. 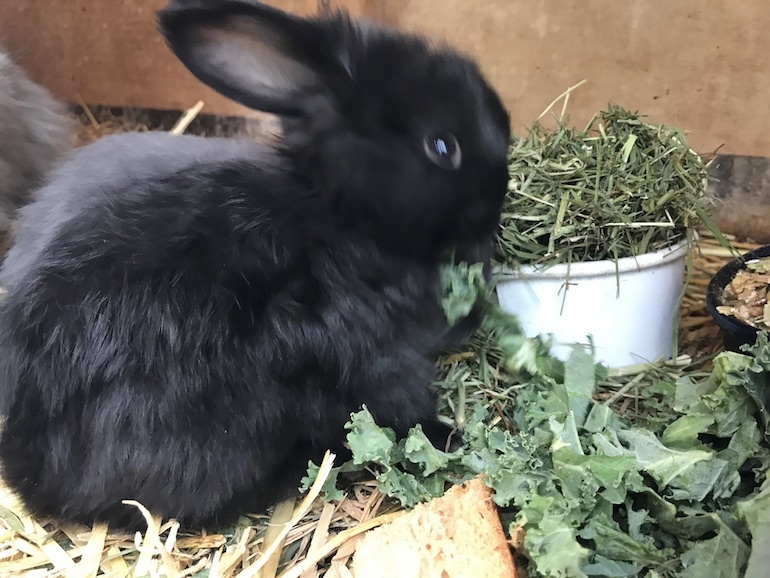 When buying a new rabbit the owner should give you a supply of the food it is used to so you can gradually change to your preferred food. 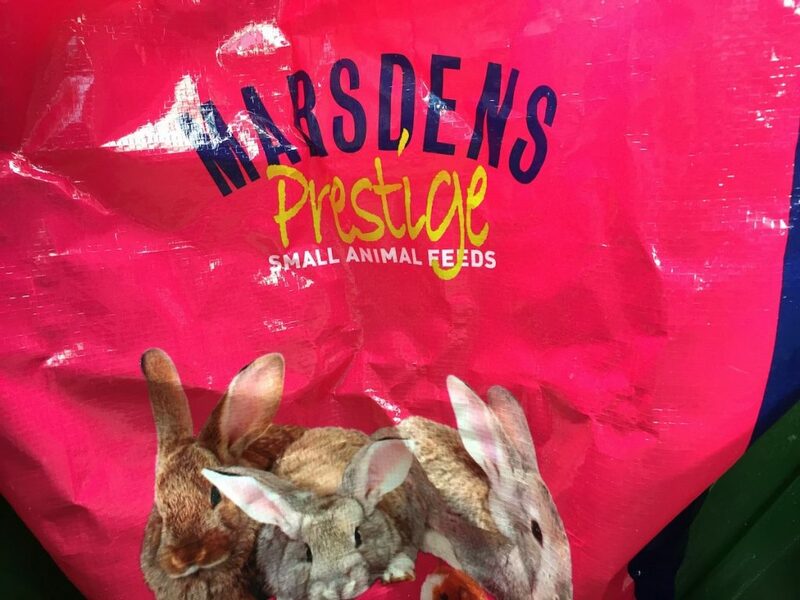 Check what fresh food your new rabbit is used to. This helps prevent digestive upsets. 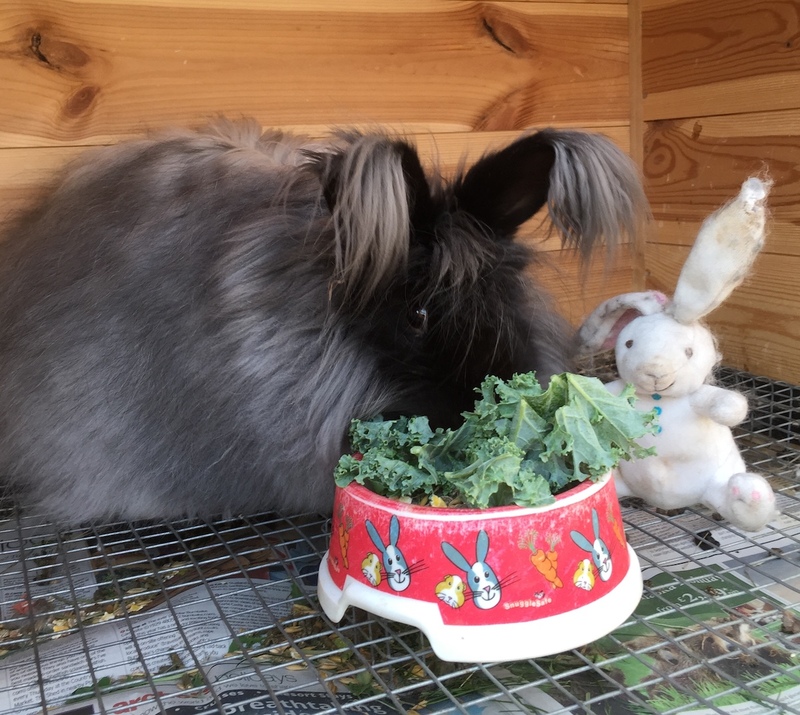 Rabbits enjoy grass and fresh greens such as kale, spring greens, savoy cabbage, spinach, pak choi, chard and clover. High sugar foods such as apple and carrot should be given sparingly as treats. Commercial treats can also be high in sugar. 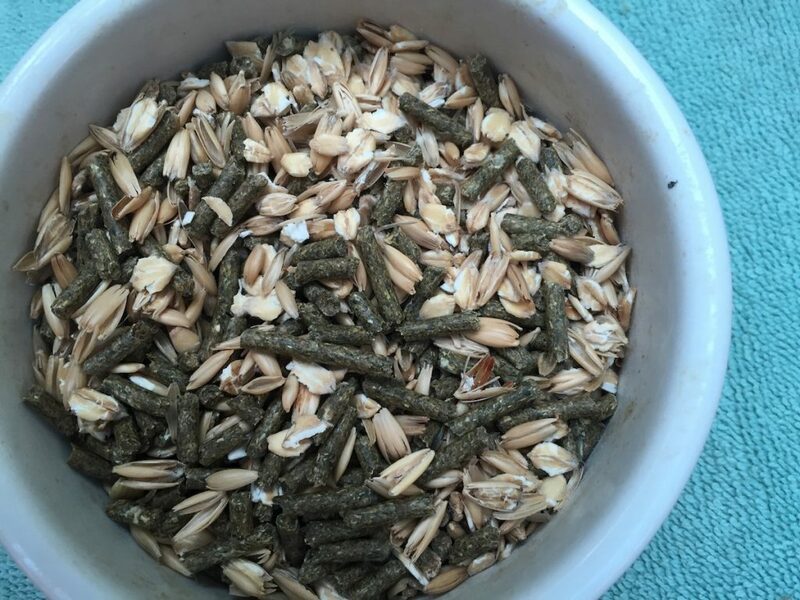 If grass or wild greens are picked, it is important that this is from an area not contaminated by dogs or wild rabbits as this can spread disease. Check you are identifying plants correctlyand that they are not poisonous. 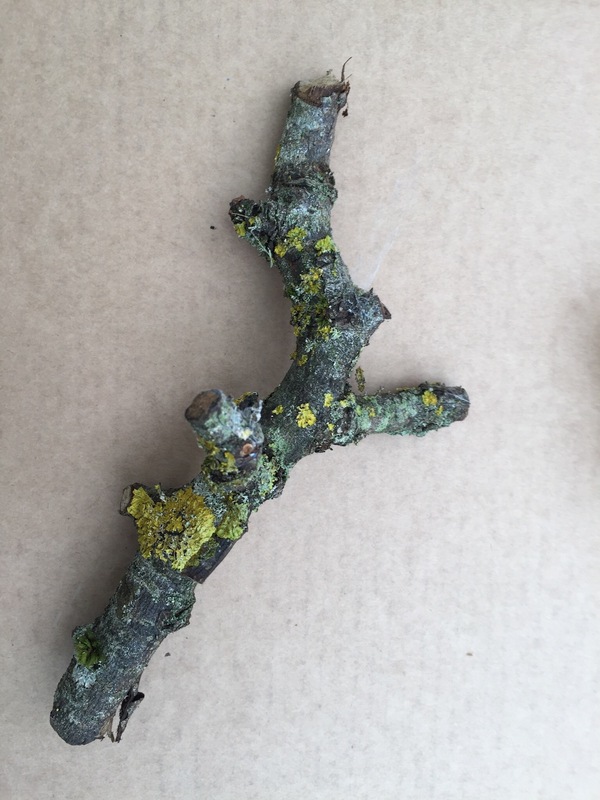 Apple tree twigs and small branches are enjoyed and help keep the teeth in trim. 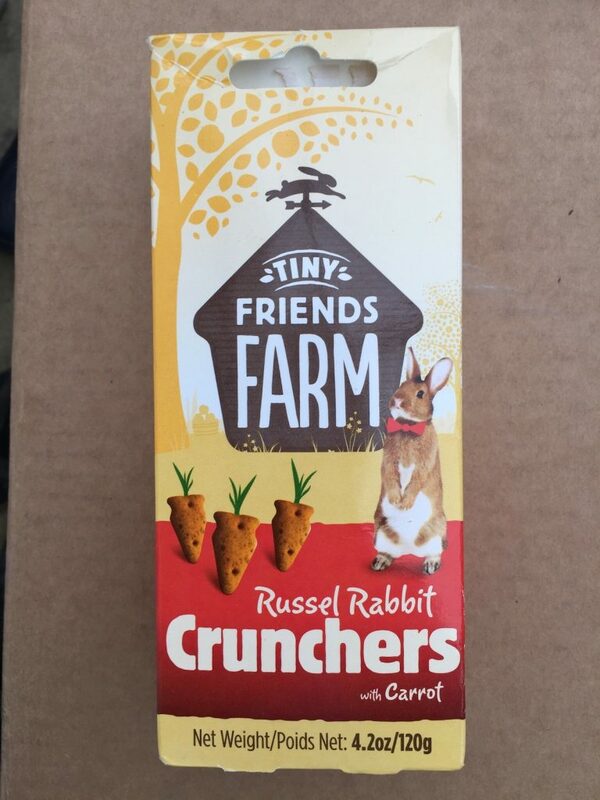 Each rabbit has its own individual tastes, and you will soon learn what each rabbit enjoys best. 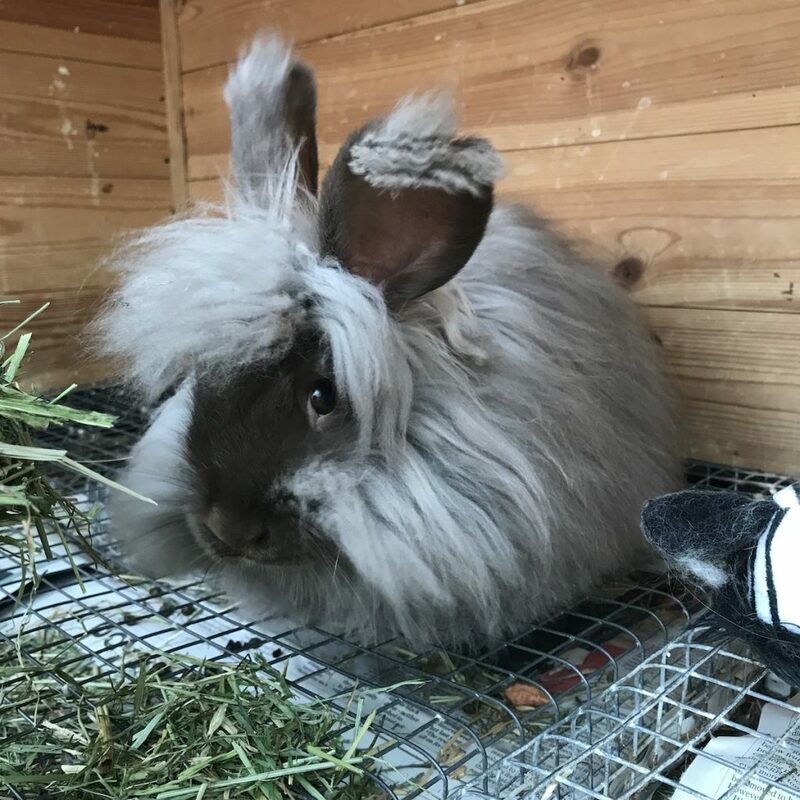 Posted 21/02/2018 by SM & filed under Angora Welfare, General interest.